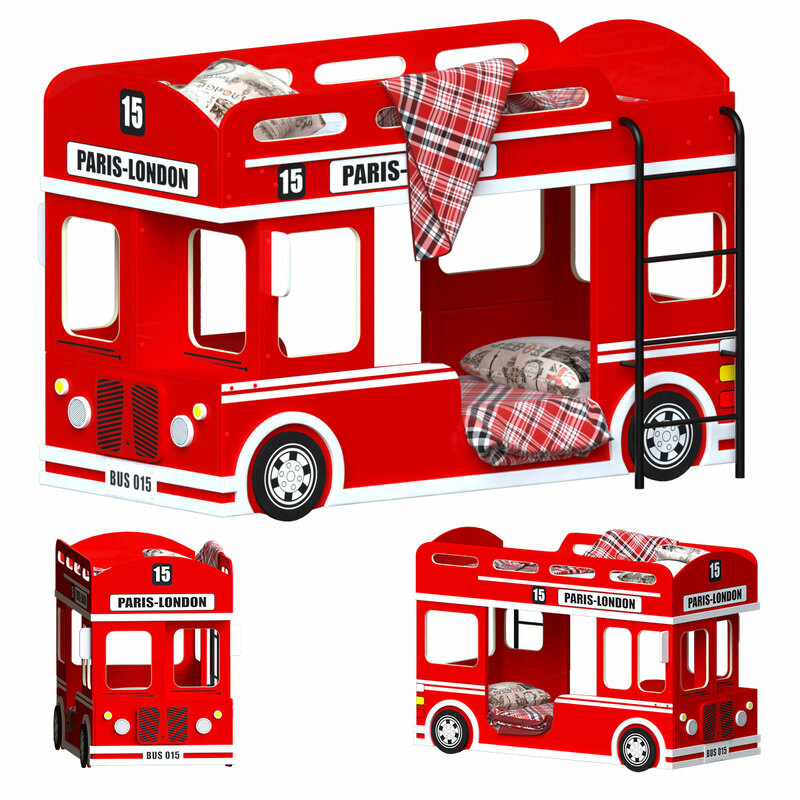 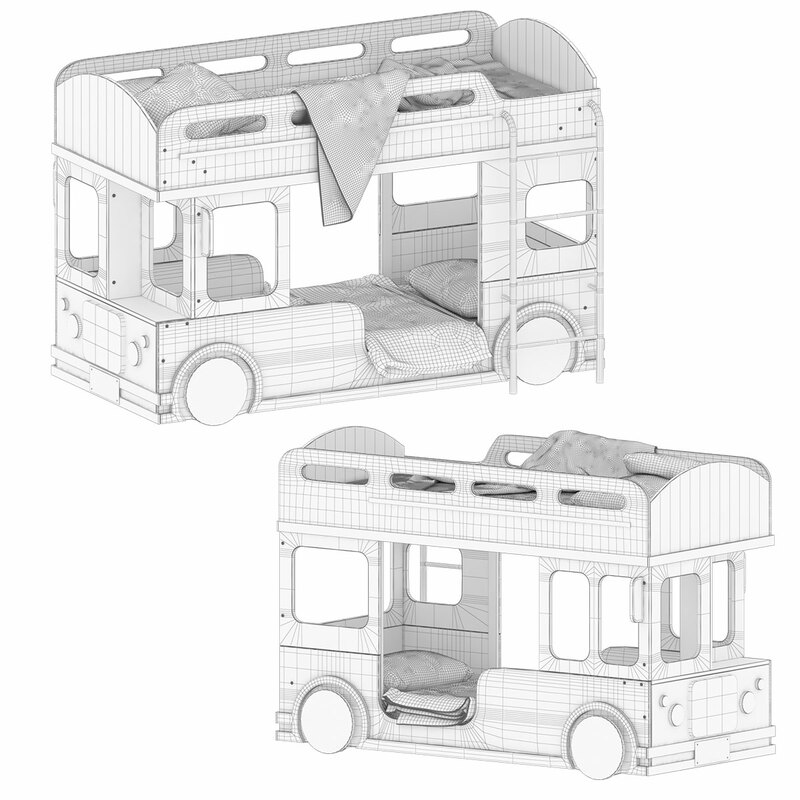 The London Bus bunk bed is a real penthouse for your child, where there is a comfortable place to sleep and play space, where the child can feel like a driver of the legendary two-story red bus driving along the streets of London. 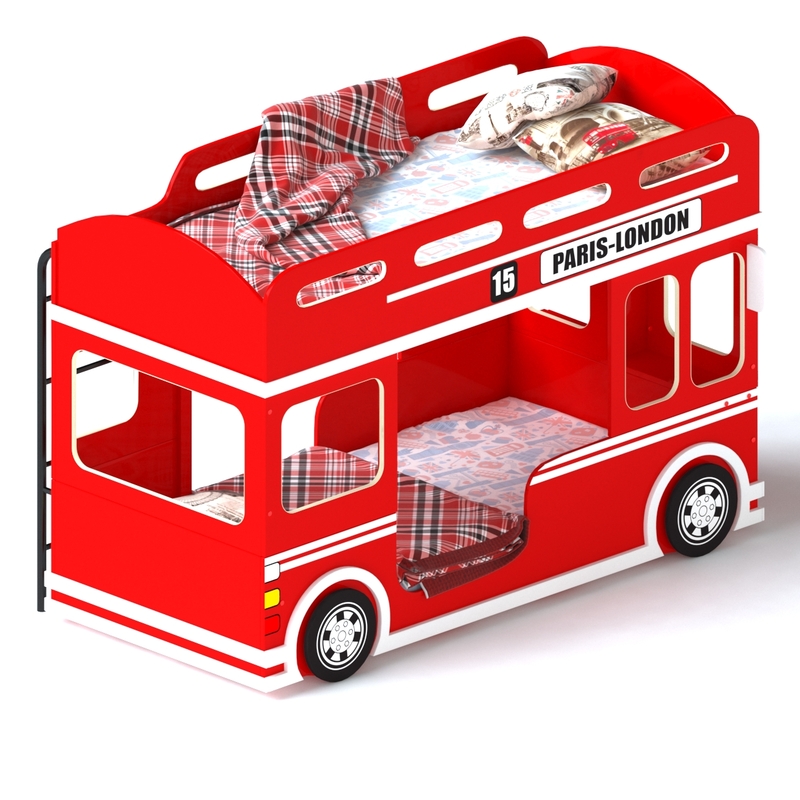 The bed is made of durable and environmentally friendly material, completed with a wooden slatted base and a metal ladder, which is mounted on the right. 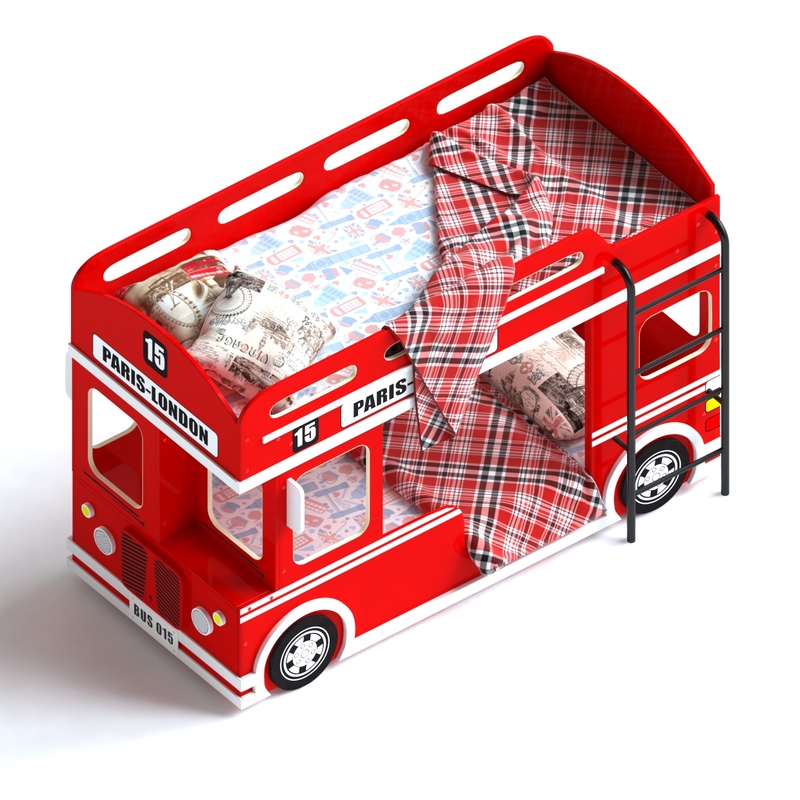 London Bus is great for active children, as it can withstand loads of up to 100 kg. 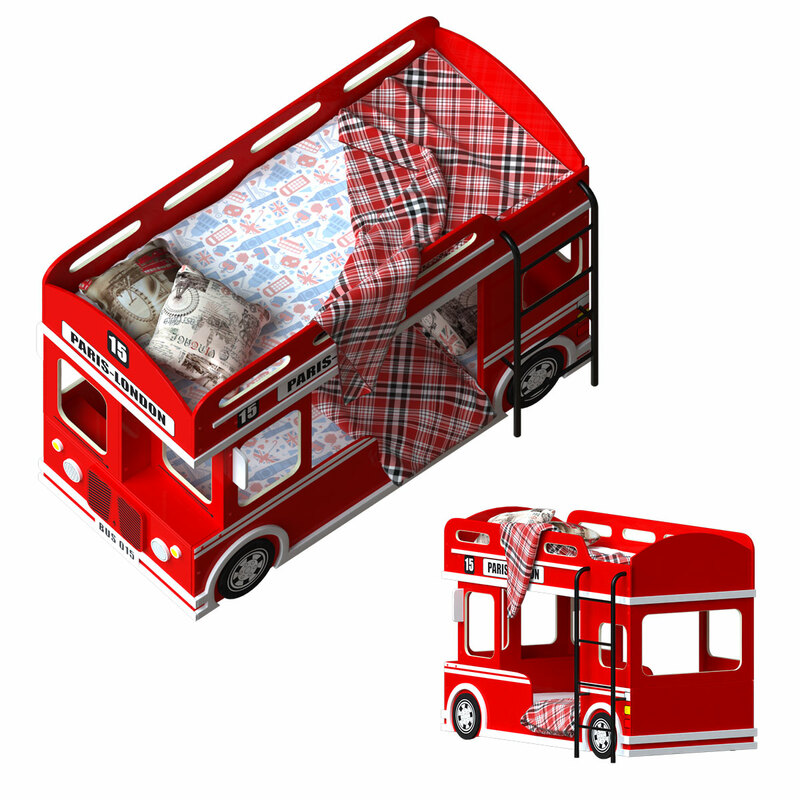 The edges and corners are rounded to ensure the safety of the child. 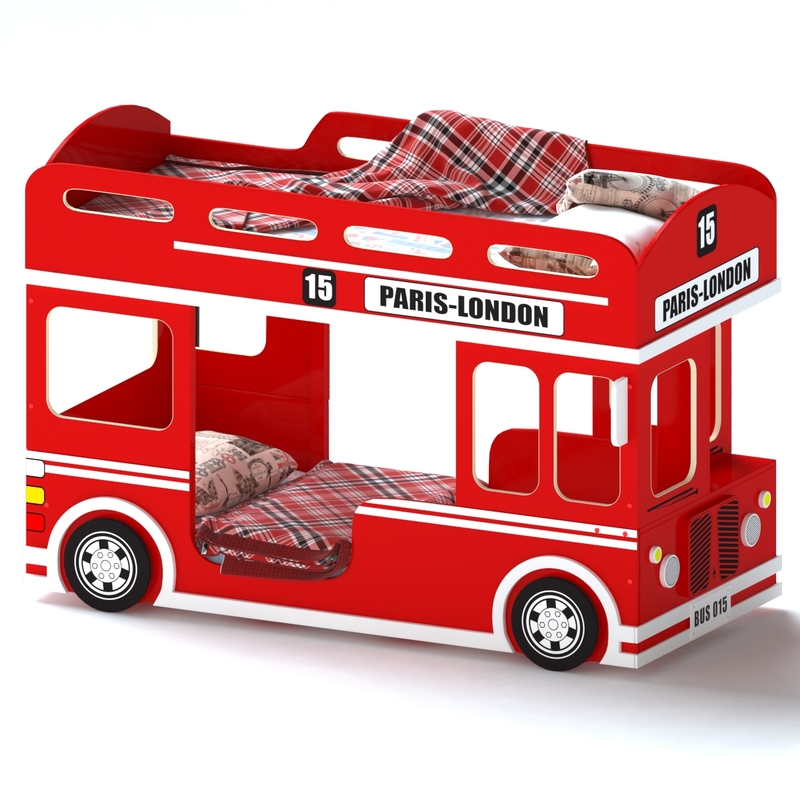 In the lower part of the bed, in the bus cab there is a shelf on which you can put a book or a toy.